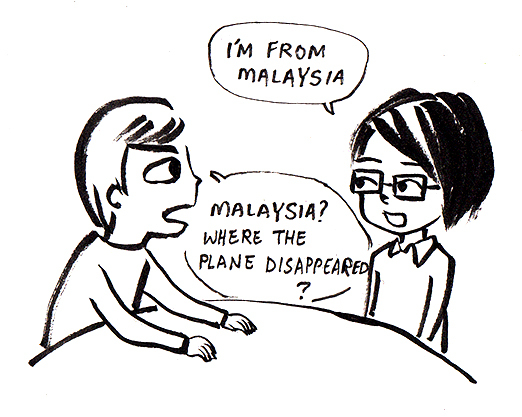 It has been more than 1 week since MH370 disappeared, and Malaysia has been on everyone’s lips. The other day I went to a workshop and we had to introduce ourselves. MH370 was the first thing people asked me about. 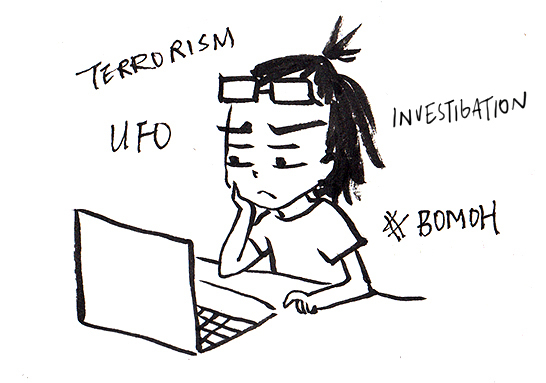 Then I go on the Internet and read all the comments on news articles. Half of what they said was pretty ridiculous, I think these people went there on vacation or something and then suddenly become experts on the socio-cultural structure of Malaysian society. It’s very worrying and tiresome. The disappearance of a plane of this size? One whole week without any real leads? It sounds like something in a Tom Clancy novel. When I heard the plane was potentially hijacked, I felt a tinge of relief….? Mainly because this means that those folks could still be alive. The grief felt by the loved ones of all those on board must be so overwhelming. Plus all these crazy conspiracy theories all over the place, I don’t know how I would handle myself if I were constantly surrounded by all this. Hopefully in difficult times like this we can realize that we are all one and the same. I sincerely hope that everyone on board is safe and able to return home.